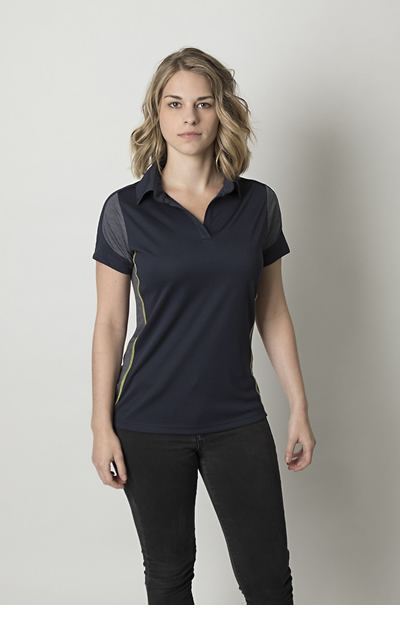 soft touch fabric at back. 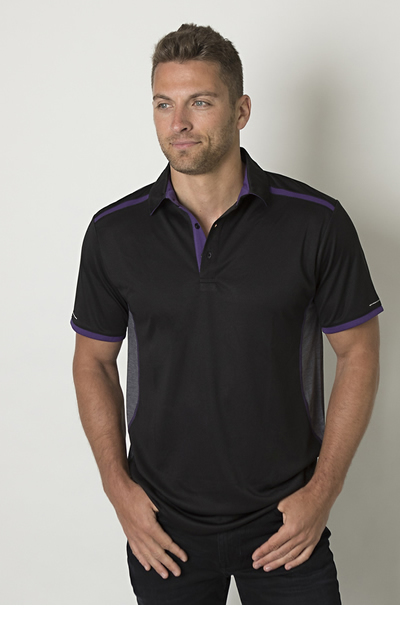 Mens Charcoal Heather soft touch fabric polo. 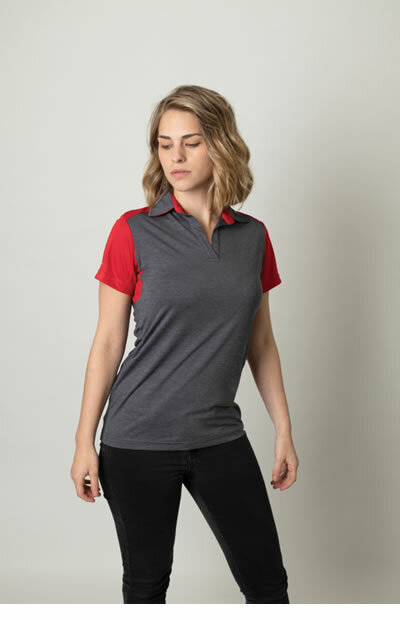 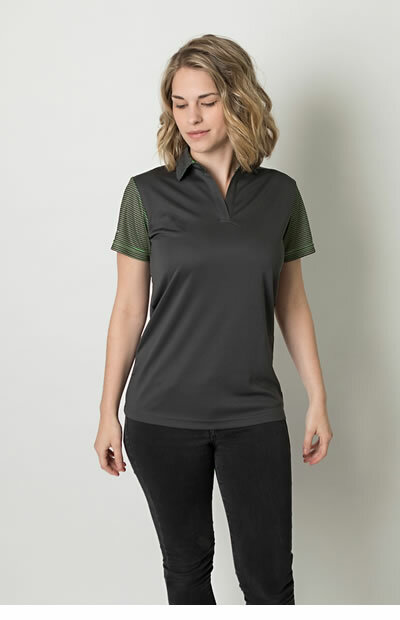 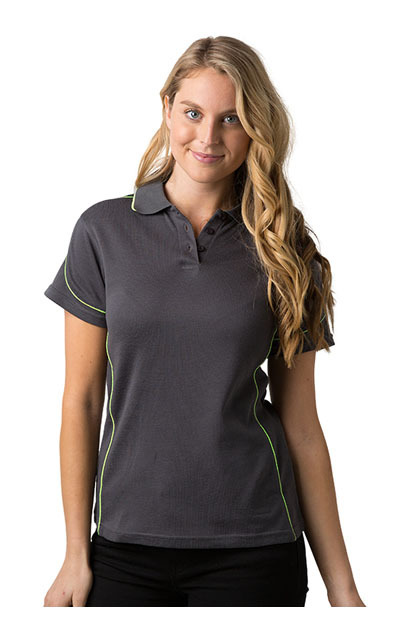 Ladies Charcoal Heather soft touch fabric polo. 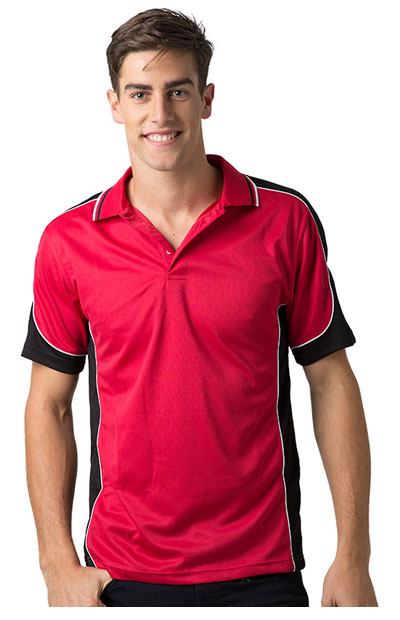 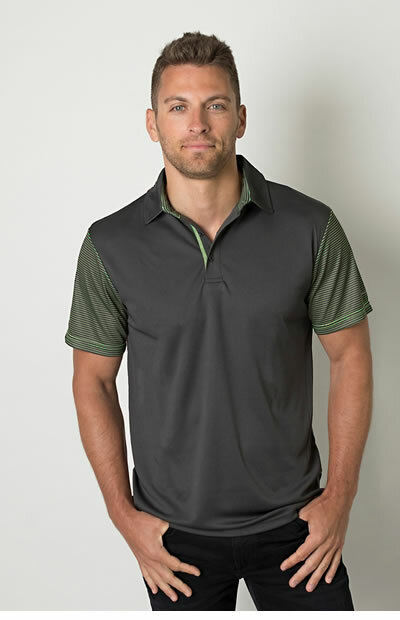 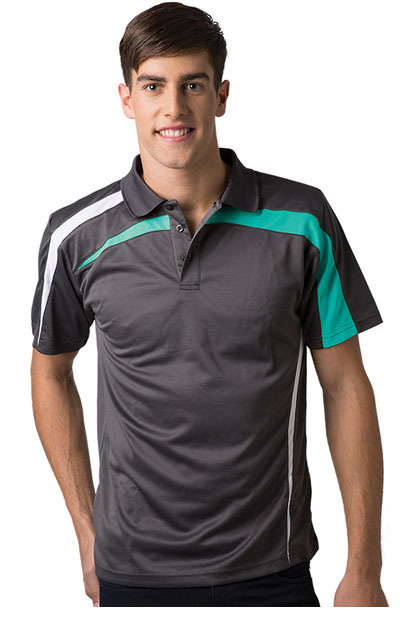 Men's polo shirt with contrast piping on shoulder and side panels, with striped collar. 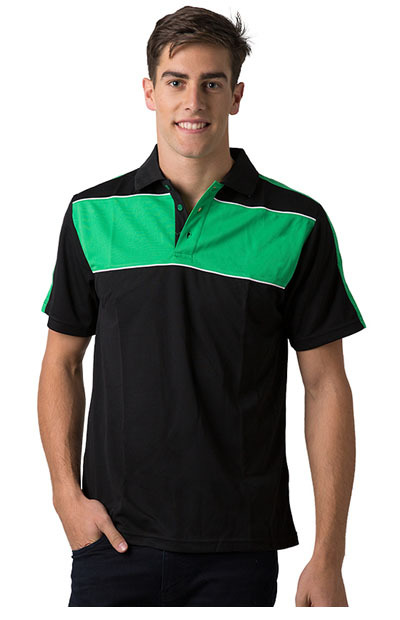 Men's polo shirt with striped collar, contrast side and shoulder panels with contrast piping. 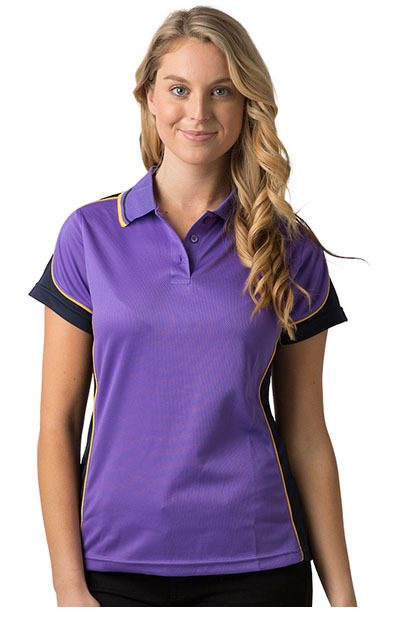 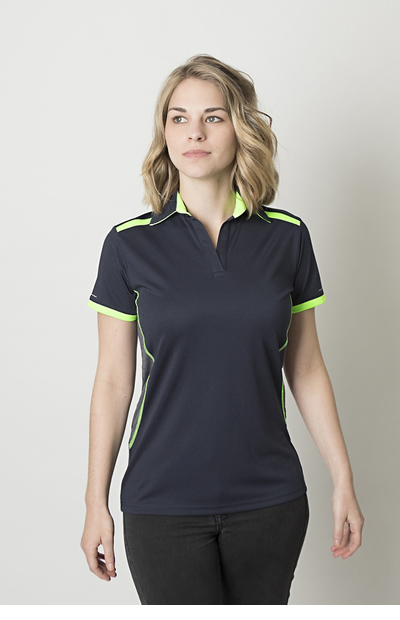 Ladies polo shirt with striped collar, contrast side and shoulder panels with contrast piping. 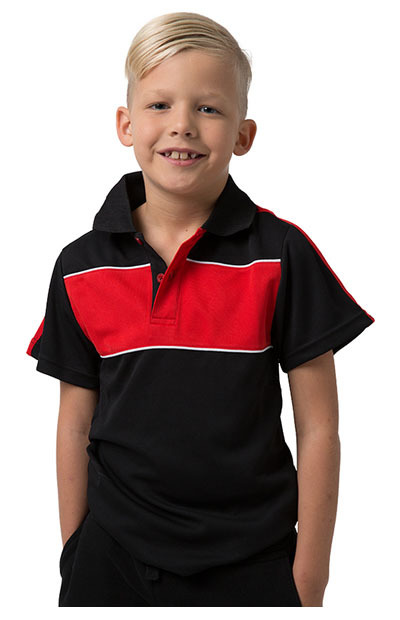 Kids polo shirt with striped collar, contrast side and shoulder panels with contrast piping. 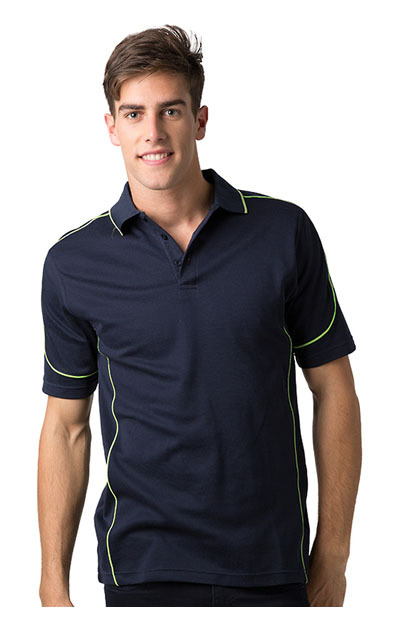 Men's polo with contrast shoulder, sleeve and chest panels with contrast piping at chest. 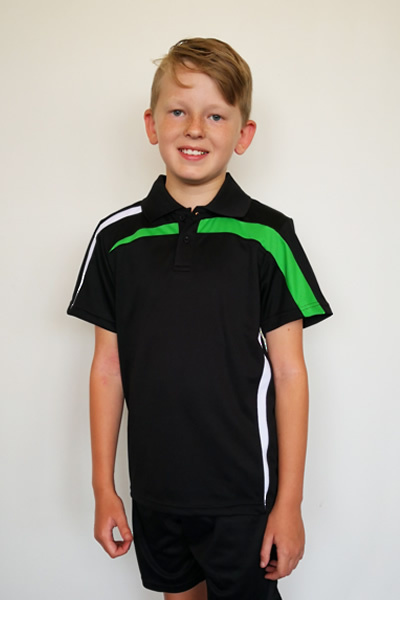 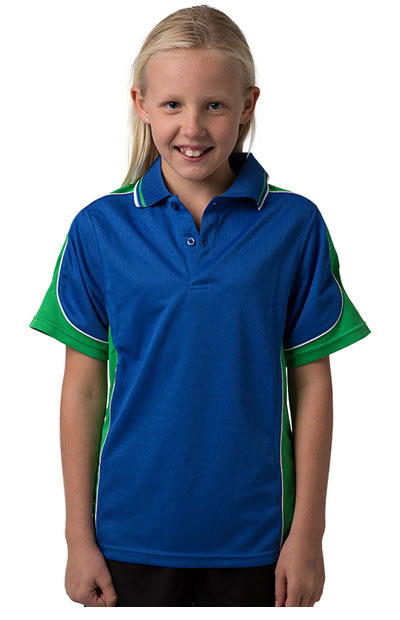 Kids polo with contrast shoulder, sleeve and chest panels with contrast piping at chest.